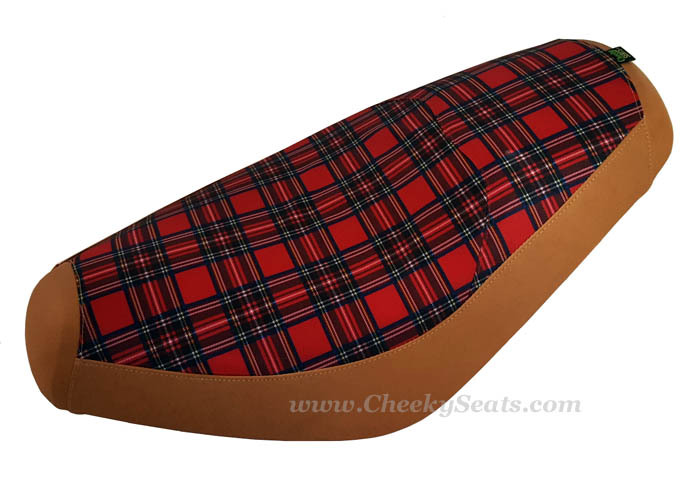 We are very excited to present our stunning Tartan plaid seat cover for the Genuine Buddy! This waterproof tartan is extremely durable, and is UV stabilized. It has a great cloth texture and looks like a million bucks! We also have a blue and hunter green variation of this plaid! 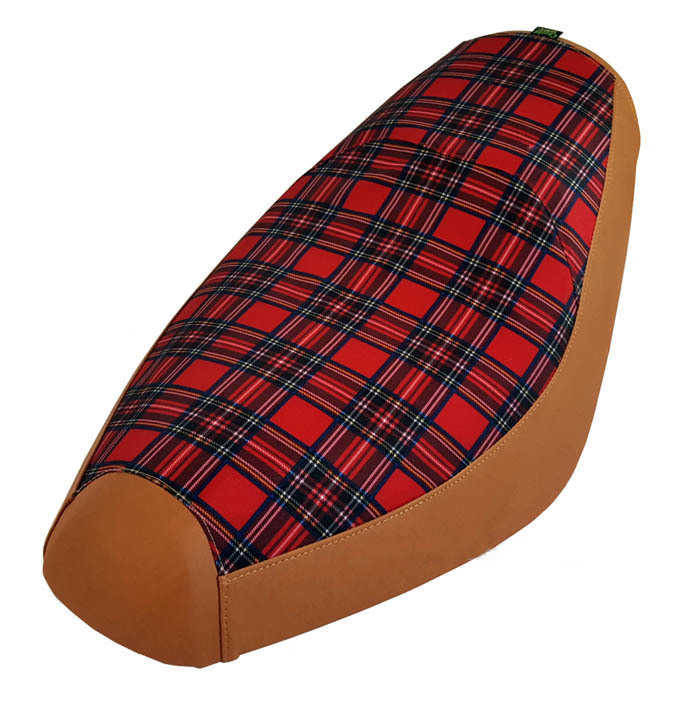 In this seat cover, we have combined the Tartan with our gorgeous matte saddle fabric, which has a soft hand like calves leather, and offers a superb anti slip riding surface. Would you like a different color on the sides? Just let us know! Our hand tailored seat covers are crafted with exceptional performance in mind. This will hold up beautifully in even the most harsh weather conditions, and keep your seat cooler in the summer sun! No tools or staples needed. 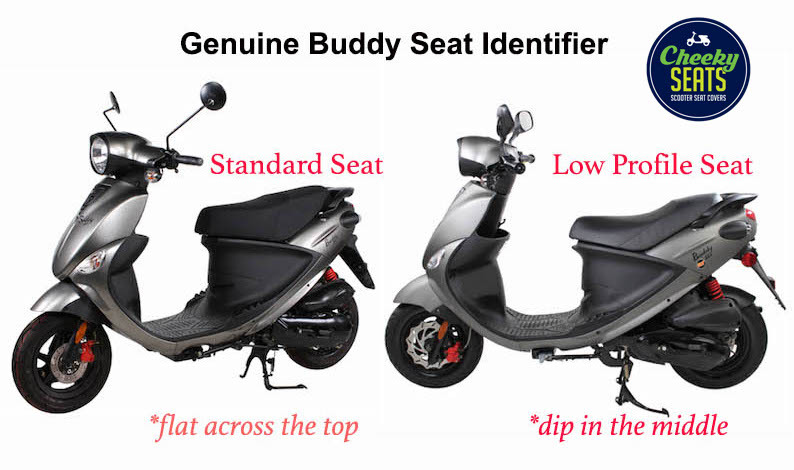 Our impeccably tailored covers are fit like garments on your Genuine seat. This is just the kind of signature accessory your Buddy is calling for.